Broome Maritime Simulation Centre (BMSC) is the wholly owned subsidiary of the government owned and operated Kimberly Training Institute (KTI) in Western Australia. BMSC and KTI have a long and esteemed track record of excellence in providing maritime studies in Australia. 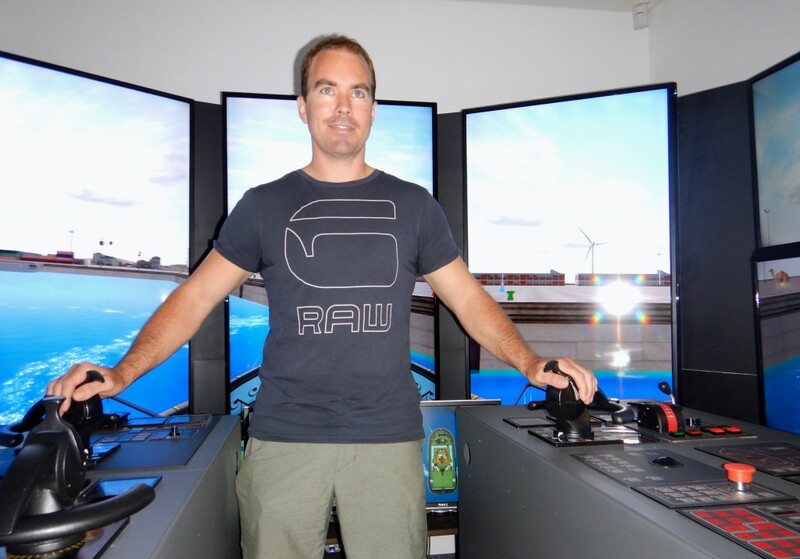 BMSC and SeaWays Consultants Pty Ltd have entered into a JV to deliver tugmaster and pilot training at their simulation facility featuring FMB ShipSim and two quality TugSims with near 360°vision and quality Azi Combi Controls. The BMSC FBM ShipSim and TugSims run the advanced Transas Software & Tug/Ship models as well as the same SeaWays training programs as STA in the UK. Courses are facilitated by SeaWays accredited Training Masters and are compliant to all industry standards and relevant accreditations. BMSC also undertakes advanced port and vessel modelling. New Zealand Maritime School (NZMS) is the government owned and operated maritime training academy in New Zealand. It has a long and esteemed track record of excellence in providing maritime studies for New Zealand and surrounding region. NZMS is based in Auckland NZ. NZMS and SeaWays Consultants Pty Ltd have entered into a JV to deliver tugmaster and pilot training at their simulation facility featuring a FMB ShipSim and two totally revamped quality TugSims with near 360°vision and quality Azi Combi Controls. The NZMS FMB ShipSim and TugSims run the advanced Transas Software & Tug/Ship models as well as the same SeaWays training programs as STA in the UK. Courses are facilitated by SeaWays accredited Training Masters and are compliant to all industry standards and relevant accreditations. SeaWays Europe are in the final stages of negotiations with Hudson Trident Ltd for an initial three year contract to provide Maritime Training and Consultancy Services in Lagos Nigeria. Hudson Trident Limited have made a significant investment into providing a simulation facility to offer bespoke training to the Maritime Industry in Nigeria and across the near Africa continent. The facility offers 3 separate simulators, an OSV bridge, a crane simulator and a 180 degree Tug Simulator. All three simulators are operating using Transas software and SeaWays Europe have been selected to deliver all of the towage training within the Tug Simulator. Applications are currently being made to the regulatory authority in Nigeria where course content and structure approval is needed before full accreditation can be given. It is hoped that the SeaWays Module 1 training programme will commence early in 2016 initially being delivered to Towage Operators within the scope of the Nigerian Port Authority, but stretching out further afield within the African and Middle Eastern areas in due course. SeaWays Europe Trainers will deliver all training for Hudson Trident within their Tug Simulator over the initial few years of the contract with a view to training suitable local candidates in the future to self-deliver against customer requirement using the SeaWays Training Programmes.